Tim Fairhall’s bid to enjoy his KiwiSaver money while he’s still fit and able has been escalated by the government. We highlighted the plight of Fairhall, who has Down Syndrome, in JUNO investing magazine. He has a life expectancy well short of 65 but is unable to access his own KiwiSaver money due to the law. Two independent advisers will help Commerce and Consumer Affairs Minister Kris Faafoi find the best way for people with life-shortening conditions like Fairhall to withdraw their KiwiSaver money when they need to retire – before the age of 65. Dr Claire Matthews (Massey University) and Donna Mitchell (IHC) will advise on changing the withdrawal criteria. Many people agreed Fairhall, 39, should be allowed to access his money, but rules around KiwiSaver means there’s no easy solution. “Part of the success of KiwiSaver as a retirement savings scheme is because funds are not available until the age of 65, so the savings grow and help people considerably towards a financially secure retirement,” Faafoi says. “I think we have to acknowledge that the one-size fits all retirement age does not work for this group faced with life-shortening conditions – so we are going to fix that,” Faafoi says. KiwiSaver members are often able to withdraw their money to help buy their first home or sometimes if they are suffering from a serious illness or financial hardship (though there’s strict criteria). But people with life-shortening conditions are typically only able to withdraw their savings at a stage when they’re permanently unable to work or at imminent risk of death. Dr Matthews and Mitchell will consult with people affected, medical practitioners and KiwiSaver experts, before reporting back to Faafoi in 2019. “It is a technically complex area, so I can’t promise a quick fix for Tim personally, but I am going to move this forward because this government is committed to ensuring its policies work for all New Zealanders,” Faafoi says. “My son Tim has Down syndrome. He works part-time and signed up for KiwiSaver in 2008. Good thing to do, I thought back then. I believed the marketing hype: that KiwiSaver is for retirement savings. But KiwiSaver is not for when you retire. It’s for when you reach 65. Realistically, Tim, and hundreds of other people with life-reducing conditions won’t get to 65. I only realised a few years ago that Tim couldn’t access his money until he turns 65. And that’s the problem. The average lifespan for a person with Down syndrome in Australasia is 57. At 39, he already has signs of ageing. He’ll probably need to retire when he’s around 45. None of the opt-out clauses apply to Tim. He won’t be buying a house or moving overseas, he’s not in financial hardship because he lives on a benefit, and he doesn’t have a life-threatening illness. Down syndrome isn’t life-threatening. But it is life-reducing. Tim would love to go on a trip to visit his brother in Italy and a much-missed friend who now lives in Canada – he wants to eat pizza and pasta, and pancakes with maple syrup. 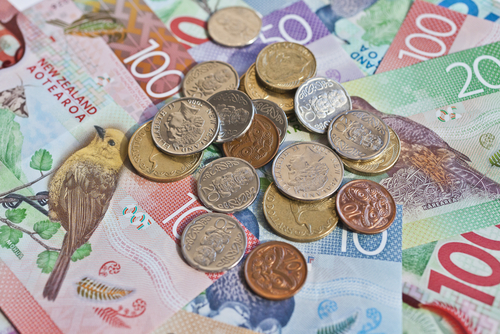 Tim has about NZ$10,000 in KiwiSaver, and he wants to use his savings before he’s too old. But there’s no way for him to get it. He’s in good health, so he might make it to 65, but premature dementia is common with his condition – there’s no way he’s going to be able to enjoy his money then. The legislation will have to change for Tim to get his money out. I’ve sought the advice of Retirement Commissioner Diane Maxwell, who is meeting with the Commerce and Consumer Affairs Minister Kris Faafoi to discuss the issue. You’d think there was some way to make sure a person with a disability is not discriminated against.